What is the Cause of Macular Degeneration ? There is no one cause of macular degeneration, but rather many factors that contribute to the development this eye disease. Before we look at what causes macular degeneration (AMD), it may be helpful to understand, that the health of the eye is an indicator of what is going on in the rest of your body. Often problems in the rest of your body can be prevented, when an early eye problem has been identified. Conditions such as diabetes or high blood pressure are often first discovered during an eye exam. Some macular degeneration risk factors we can influence, like diet and smoking and others we can't, like aging and being female. 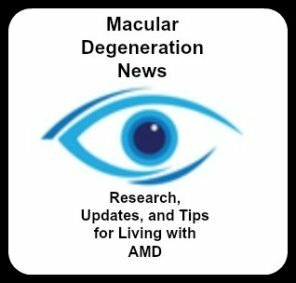 You may be at risk for developing macular degeneration, like my husband who has a strong family history, but there is plenty of research that tells us we can help delay or prevent the development of this loss of central vision by certain lifestyle and dietary choices. Find out if you are at higher risk for age related macular degeneration ... and just as important find out what you can do to reduce your risk. If we were to name the number one preventable cause of macular degeneration it would be smoking. 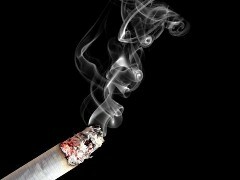 Smoking increases the risk of developing age-related macular degeneration (AMD) by nearly 50 percent, reveals a recent analysis of about 3,500 Beaver Dam, Wis. residents undergoing eye-related studies since 1987. The finding was reported in the January 2008 issue of Archives of Ophthalmology. Smoking causes damage to the retina in many ways. Of all macular degeneration risk factors, smoking is the single most controllable one. If you smoke, stop! The blood vessels that supply blood to your eyes, and in particular, the retina are very small and delicate. 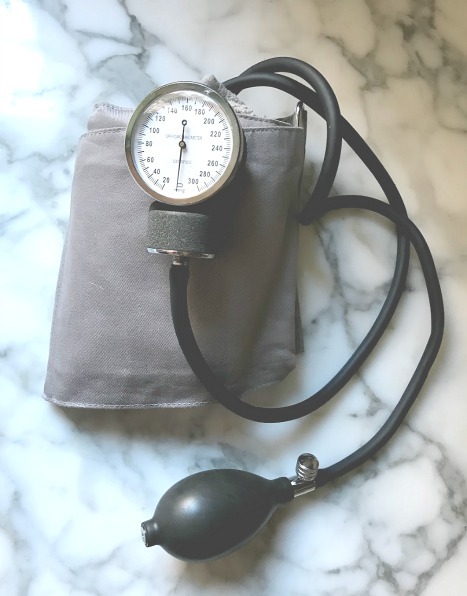 Like other blood vessels, they are damaged by high blood pressure. This can result in the blood vessels leaking which leads to fluid building up in the choroid , a layer of blood vessels that lie under the retina. There are certain medications, prescription and over the counter, that may have adverse effects on the eye. Sometimes it is the combination of drugs that can affect one's vision adversely. Even health supplements and the food we eat can interact in a negative way. 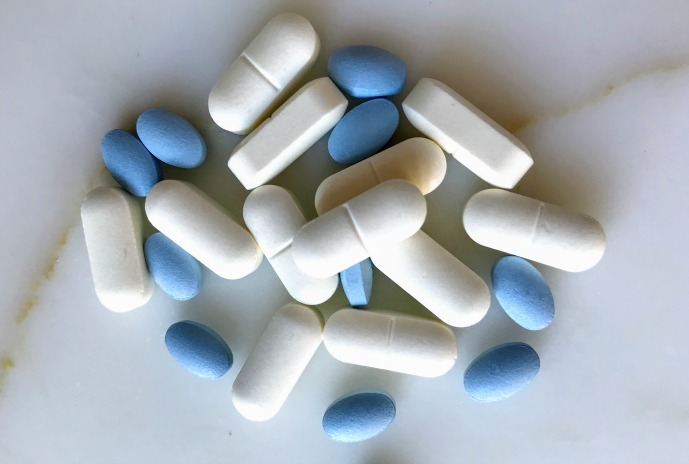 Always be open and complete when presenting your list of drugs and supplements that you take with your physician(s). Family history is the macular degeneration risk factor that has concerned us the most. AMD runs in families. My husband's father and all of his father's siblings had macular degeneration. That means my husband has a 50% life time risk of developing this eye disease and our children and grandchildren are at greater risk for developing it as well. "Age related macular degeneration usually does not have a clear-cut pattern of inheritance, although the condition appears to run in families in some cases. An estimated 15 - 20% of people with AMD have at least one first-degree relative (such as a sibling) with the condition." Several genes have been identified that are associated with the development of age related macular degeneration and Stargardt's disease. The CFH gene is part of the complement system of genes. The complement system is part of our immune response and plays an important part in fighting bacteria, monitoring inflammation, and removing built up toxins from cells. This awareness is helpful to me as a wife and a R.N. to begin now to protect the eyes of my husband and to be proactive in trying to prevent it - for him and our adult children. Click here to read more about this cause of macular degeneration. 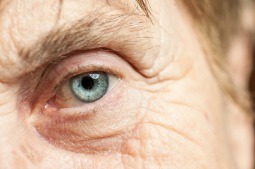 A diagnosis of dry macular degeneration increases your risk of developing it in the other eye. Also those who have dry AMD are at high risk of of developing wet AMD in the dry eye or other eye. Surprisingly, not all studies confirm that ultraviolet light is a risk factor for macular degeneration. However bluelight has been shown to cause damage to our retinas and is one of the causes of macular degeneration. Glasses that are tinted orange or amber block blue light. 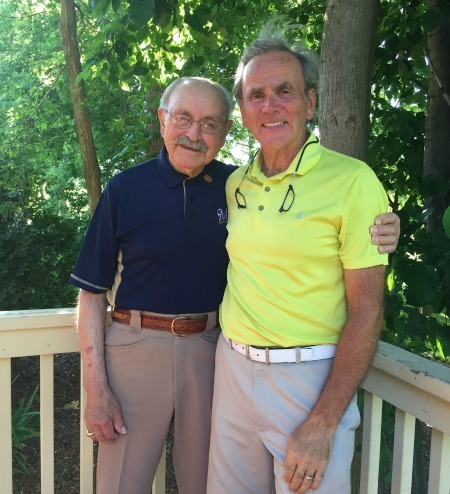 Dr. Gary Morgan shares an exclusive e-interview for WebRN Macular Degeneration readers on glasses that protect our eyes from blue light as well as ultra violet light, reduce glare and enhance contrast. Find out the benefits of these special glasses for indoors and outdoors. A diet low in dark green leafy vegetables and omega-3 fatty acids and too high in omega-6 fatty acids increases your risk of AMD and can be a cause of macular degeneration. Reduce your consumption of processed foods and increase your intake of whole foods, but especially dark green leafy vegetables. We have been incorporating a lot more kale and organic spinach into our diet since we have found out how important dark leafy greens are in reducing the risk of macular degeneration. Kale is nutrient dense especially in two carotenoids that or antioxidants that benefit the macula - lutein and zeaxanthin. Add kale to your salad, soups, smoothies, or casseroles to start enjoying their benefits. It is imporatant to incorporate healthy omega-3 fatty acids in our diet, but just as important, we must reduce the amount of omega-6 fatty acids and unhealthy fats that we eat. The ratio of omega-3s to omega-6s is critical, because they compete with each other in our bodies. You may know someone who had macular degeneration and after they had cataract surgery, their AMD got worse. There is anecdotal evidence that this may happen, and it makes it more difficult to decide whether or not to have cataract surgery if you have AMD. Many of the risk factors that contribute to the development of AMD can be tied to free radicals and the damage they cause. 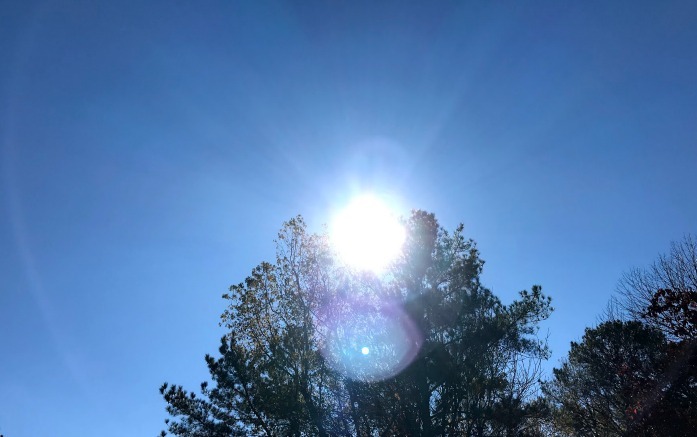 Sunlight, smoking, and environmental toxins, all result in free radical damage which are especially toxic to our eyes and to the rest of our body. Oxidation is a process we are all familiar with and one sees the effects of oxidation when one sees the rusting of metal, a slice of apple turning brown, or the aging process. 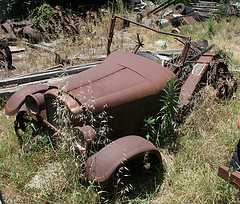 A rusted car or ship is an example of seeing how oxidation can cause damage and degeneration. Unlike rusted metal, we can't see the damage oxidation is causing to our eyes. Just like a car that sits outside or a ship that's constantly exposed to the ocean air and water, our eyes consume lots of oxygen and are susceptible to oxidative stress. Most of you have heard the term "free radicals." And you may also know that free radicals cause damage to our bodies. Well, when we are exposed to toxins in our environment - the air we breathe, the water we drink or the food we eat - our body produces free radicals. These free radicals then cause damage to our bodies and to our eyes as well. To read more about this cause of macular degeneration click here: What is Oxidation? It is called age-related macular degeneration (AMD) because as we age our risk increases. 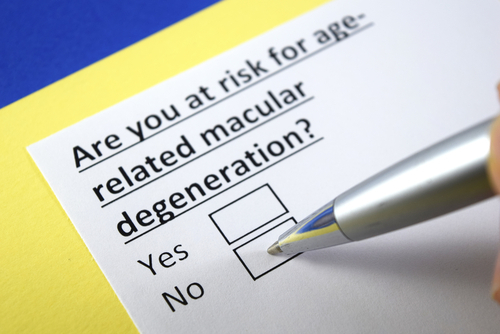 The macular degeneration risk increases to 30% for those between the ages of 75-85 years old. The National Institute of Health states that, "Age appears to be the most important risk factor. The chance of developing the condition increases significantly as a person gets older." Dr. James C. Folk the author of Protect Your Sight: How to Save Your Vision in the Epidemic of Age-Related Macular Degeneration writes about the concern of whether macular degeneration is hereditary, "AMD is most strongly associated with age and a family history of the disease." This retinal disease is more common in those with blue eyes compared to those with brown yes. This is probably due to the fact that they have less pigment to protect their eyes from the damaging affects of free radicals caused by sunlight. Although one cannot choose their parents or keep from aging, there are lifestyle choices we can make that can help prevent or delay this macular eye disease from developing in our own eyes. Many people do get macular degeneration without having any of the known macular degeneration risk factors. However, those who are aware of these risk factors and have them can become more proactive by following a macular degeneration diet, incorporating an exercise program, wearing sunglasses or stopping smoking.